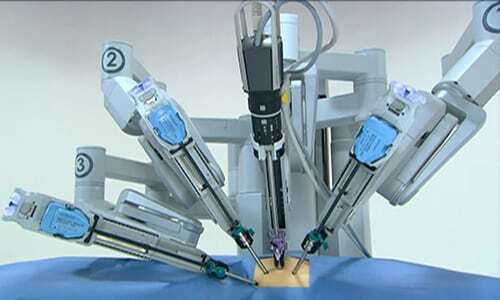 Robot-assisted surgery is usually associated with minimally invasive surgery — procedures performed through tiny incisions. It is also sometimes used in certain traditional open surgical procedures. The most widely used clinical robotic surgical system includes a camera arm and mechanical arms with surgical instruments attached to them. The surgeon controls the arms while seated at a computer console near the operating table. The console gives the surgeon a high-definition, magnified, 3-D view of the surgical site. The surgeon leads other team members who assist during the operation. Robotic surgery isn’t an option for everyone. Talk with your doctor about the benefits and risks of robotic surgery and how it compares with other techniques, such as other types of minimally invasive surgery and conventional open surgery. Dr Arun Dhir regularly performs Robotic operations at the Epworth Private Hospital. Certain health funds may charge extra for a robotic procedure. It is always recommended to check with your health fund about the same. 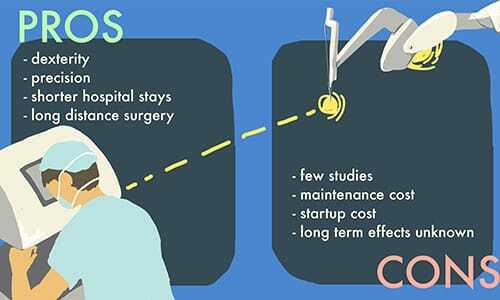 Melbourne Gastro Surgery does not charge any extra Out-of-Pocket costs for doing the procedures robotically.